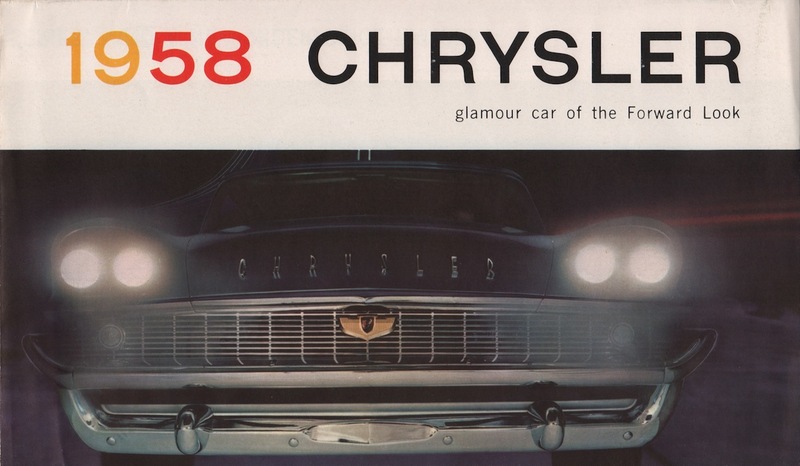 Fold-out sales brochure for the 1958 Chrysler featuring the New Yorker, Saratoga, and Windsor. The New Yorker has a 4-door sedan, 2-door hardtop, and convertible model. The Saratoga has a 4-door sedan, 2-door hardtop, and a Town & Country Wagon. The Windsor models include the 4-door sedan, 2-door hardtop, and Town & Country Station Wagon. Engines are the 392ci 345hp V8 and a 310hp 354ci V8.